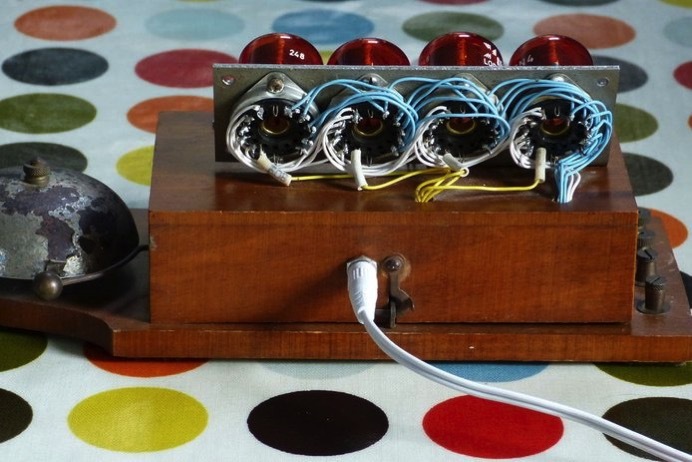 Vintage Nixie Alarm Clock « Adafruit Industries – Makers, hackers, artists, designers and engineers! When I came across this old wooden door bell at a boot sale I thought that it would make a great case for a nixie clock. I opened it, and found that the large transformer and solenoids that makes the bell ring, occupy most of the space. My initial idea was to strip it all out and use some other method of alarm. But after a bit of pondering I thought perhaps it’s possible. 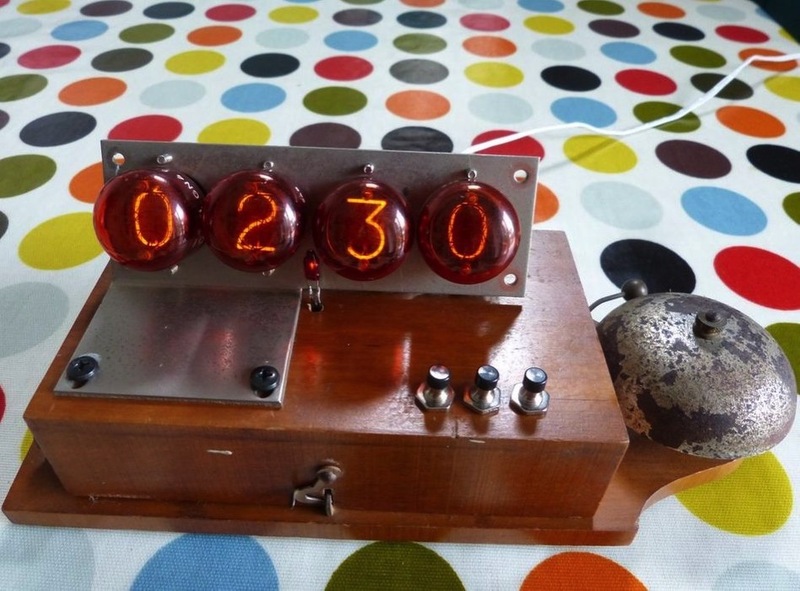 As this clock uses several up-cycled parts and components which you may not be able to find exact pieces, this instructable is a guide to creating something similar. Old bells like this were made by different companies for different uses; Hotels, shops and telephone extensions. This one had a large transformer coil, so I guess it was probably a telephone extension bell used in a large shop or factory. Disconnect and unscrew the transformer. (Don’t be tempted to connect it to the mains power. It will probably catch fire) Once removed you can now begin to test the solenoids which actually make the bell ring.